With a smile always presenting on his face, not many people know that Alain Nghia has to pay a certain prices to follow through his cooking career. 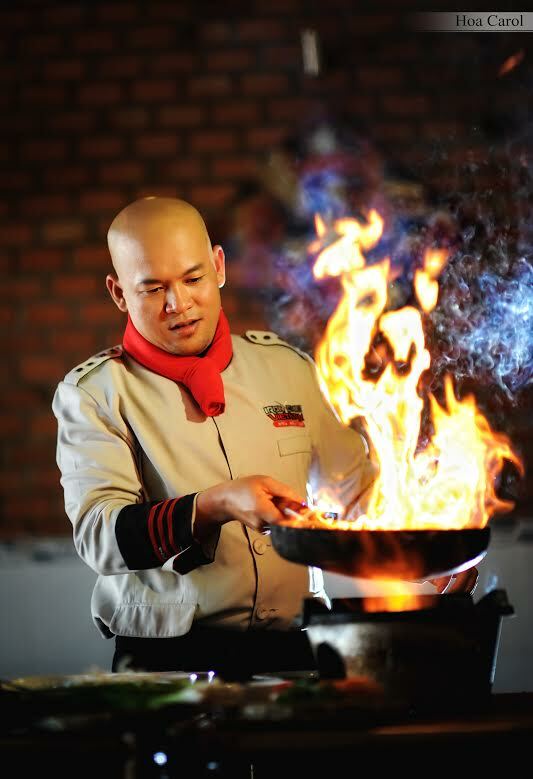 When talking about Alain Nghia, everyone will remember about an image of a chef without hair coming from the Iron Chef Vietnam show. Not only this but this friendly and humorous chef also presented in many cooking TV shows. With a smile always presenting on his face, not many people know that Alain Nghia has to pay a certain prices to follow through his cooking career. 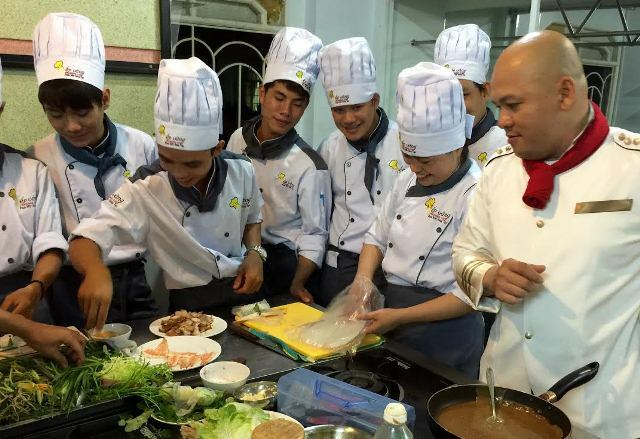 Hi Mr Alain Nghia, Knowing that you used to be in positions as head chef and chef deputy of some 5 stars hotel in HCM so how the dream becoming a chef come to you? The cooking dream comes to me since I am 12 years old. My family was very busy for business at the market so I usually help my mum to prepare lunch and dinner at home then cooking becomes my passion and it is getting bigger. Every time I followed my parents to Saigon to get ingredients (my hometown is in Bien Hoa, Dong Nai) I usually go to the book store next door to read cooking books. I go back home and practice by myself. I learn to adjust seasoning following what I want. Those moments become good memories and properties for me to start this career. Determine in following cooking career, how did you go through practice process? Who inspire you in cooking career? My grand- mother inspired me. Rustic dishes that she cooked look very simple but the cooking process was done very carefully and complex from selecting ingredients, cutting, seasoning, keep an eye on the fire as well as observing its color …Every time going to visit my grand-mother in Ben Tre, I felt the most excited and my passion about cooking grown up more and more. As a chef you usually cook for everyone so when you come back home do you usually go to kitchen and cook? Every time go home to visit my family I love to stay in the kitchen and cook for my family. The favorite dish that my family love the most is raw spring-roll made of pork skin and all different kinds of wild vegetable, coconut root, vinegar and sugar. 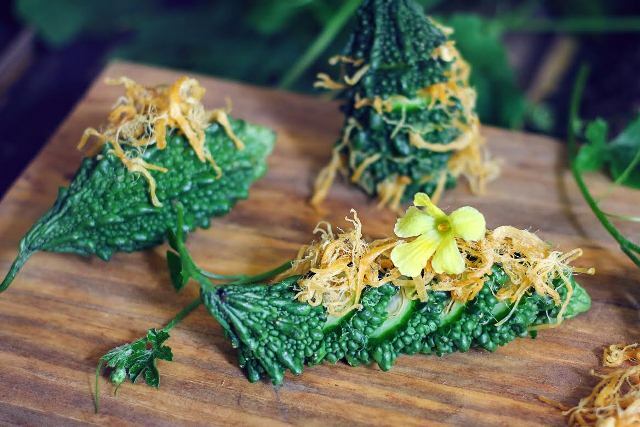 A big and important change in your career is when you quit the position of head chef in a five star hotel to open a cooking class named Alain Nghia. What is your motivation to make this decision? Between a person who make delicious dishes and a person who will inspire other people to cook who do you think that will be suitable for you? 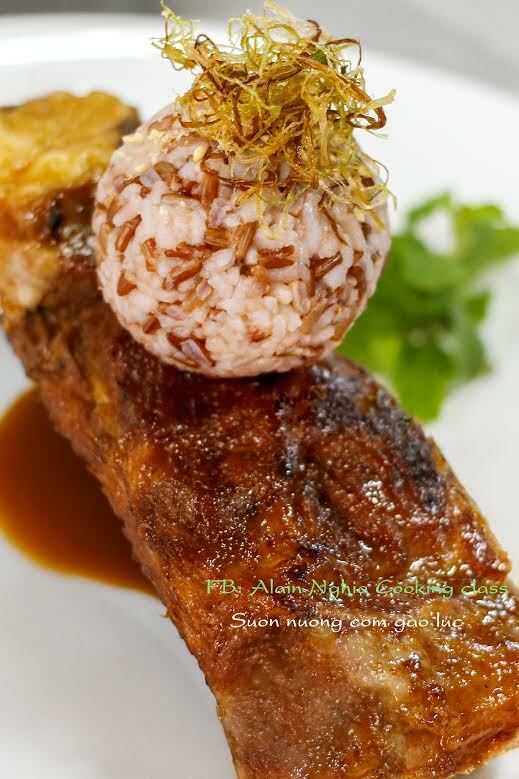 What is the most branding dish of Chef Alain Nghia? 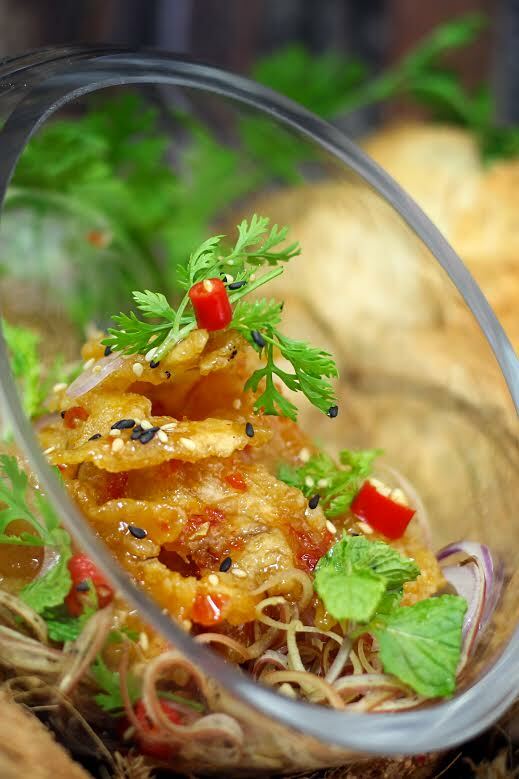 - My branding is simple that to make a common rustic dish become a luxury dish, especially traditional Vietnamese dishes. I want to keep their original home taste but look more beautiful, alternative and luxury. 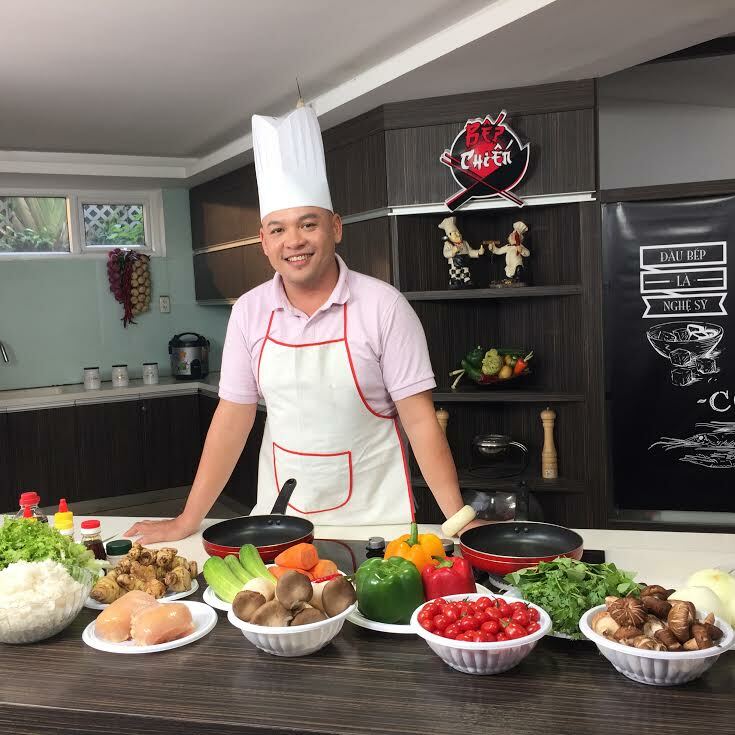 You are well-known as a funny chef but also not less strict from the Iron Chef Vietnam program and some TV show so whether if there is any difference with Chef Alain Nghia in daily life? Alain Nghia in daily life is just a normal person as many others. Easy, happy, love music and traveling…I like to enjoy life to have more energy for creativity. Not many people know that besides the job as a chef you are also a make-up artist. So are there any common points between being as a chef and make-up artist? If you are asked to say something to inspire male chefs so they can be more confident when they come into the kitchen what you would say? Nowadays cooking is not for woman only. You just think of people that you love and turn the kitchen to be a place for you to share your happiness.